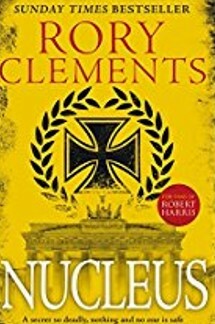 RORY CLEMENTS is the award-winning author of two thriller series: the John Shakespeare books set in Elizabethan England and the 1930s/40s novels featuring Cambridge professor Tom Wilde and published by Bonnier Zaffre. His most recent book, Nucleus - second in the Wilde series - won the prestigious CWA Historical Dagger 2018 and is out now in paperback. The third book, Nemesis, is scheduled for hardback publication in January 2019. In the John Shakespeare series, his first book, Martyr, was shortlisted for the CWA John Creasey (New Blood) Dagger. Revenger won the CWA Ellis Peters Historical Award 2010. Prince, was shortlisted for the Ellis Peters Award 2011. Traitor was published in 2012. The Heretics was published in 2013 and was shortlisted for the Ellis Peters Award. The sixth novel, published in 2014, was The Queen’s Man. The seventh, Holy Spy, published in 2015, reached the Top 10 in the Sunday Times bestseller list. He has also written a John Shakespeare ebook novella, The Man In The Snow. After a career in national newspapers Clements now writes full-time in Norfolk, England. He is available for literary events and is always happy to talk about life in the 1930/40s and the late 16th century. 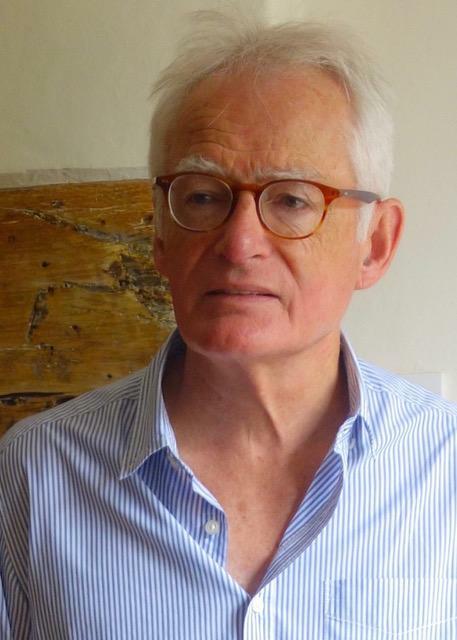 He is a member of the Crime Writers’ Association, the Historical Writers’ Association, the Society of Authors and the International Thriller Writers. His books have been sold to 12 countries. 1936. Europe is in turmoil. The Nazis have marched into the Rhineland, Stalin has unleashed his Great Terror on the Soviet Union, and Spain has erupted in civil war. In Berlin, a young Englishwoman evades the Gestapo to deliver vital papers to a Jewish scientist. Within weeks, she is found dead in her Cambridge bedroom, a silver syringe clutched in her fingers. In a London club, three senior members of the establishment light the touchpaper on a conspiracy that will threaten the lives of royalty and government ministers. When a renowned member of the county set and his wife are found horribly murdered, a maverick Cambridge history professor finds himself drawn into a world of espionage which, until now, he has only read about in books. But the deeper Tom Wilde delves, the more he wonders whether the murders are linked to the death of the girl with the silver syringe - and, just as worryingly, with the scandal surrounding King Edward VIII and his mistress Wallis Simpson. Professor Wilde’s specialist subject is the Elizabethan secret service. With the spires of academia drenched in blood, he must use all the skills he has learnt in his dusty tomes to save the woman he loves and prevent a massacre. 1586. In London’s smoky taverns a conspiracy is brewing, and John Shakespeare must infiltrate the plotters. However, equally pressing is the murder charge against the woman he loves. As he battles unseen forces he begins to realise that his investigations are inextricably linked - by corruption at the very seat of power. CORPUS, NUCLEUS and the forthcoming NEMESIS are all published by Bonnier Zaffre. MARTYR (John Murray, 2009), US edition (2009) published by Bantam. Published in the Netherlands as MARTELAAR by Karakter, in Germany as SEELENFÄNGER by Bastei-Lubbe and in Italy as LA RELIQUIA E LA CROCE by Piemme; REVENGER (John Murray, 2010), published by Bantam in US in 2011 and in Italy as IL PERSECUTORE by Piemme; PRINCE published by John Murray, 2011; TRAITOR published by John Murray, 2012; THE HERETICS, published by John Murray, 2013; THE QUEEN’S MAN, published by Hodder & Stoughton, 2014; HOLY SPY, published by Hoddr & Stoughton, 2015. Other foreign editions in Hungary, Turkey, Poland, Russia, Norway and Czech Republic. Ebooks published in US by HarperCollins/Witness. THE MAN IN THE SNOW, a John Shakespeare novella, published as an ebook by John Murray, 2012, also included in the Hodder & Stoughton paperback edition of THE QUEEN’S MAN, 2014.